Deputy Chief Executive Officer in charge of Finance and Legal Affairs , Emmanuel Babeau, , explains the importance of the 2018 World’s Most Ethical Companies award by the Ethisphere® Institute. 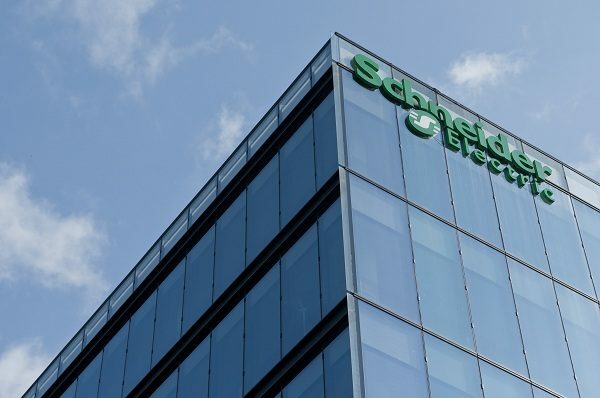 On March 1, 2018, Schneider Electric, the leader in digital transformation of energy management and automation, has just been named one of the 2018 World’s Most Ethical Companies by the Ethisphere® Institute, a global leader in defining and advancing the standards of ethical business practices. This is the eighth consecutive year Schneider Electric has received this accolade. Created in 2006, the annual World’s Most Ethical Company® list honours companies that have demonstrated exemplary ethical leadership in their industries, raising the standards of corporate behaviour as both the right thing to do and an effective long-term strategy. In 2018, the list included 135 companies from 23 countries (only three from France) and 57 industries. For Schneider Electric, this award remains just as important the eighth time as the first. Schneider Electric has placed ethics and responsibility at the core of its strategy, making a commitment to act with the highest standards. These are not just words. Having introduced its own Principles of Responsibility in 2002 to help guide employees worldwide, the company regularly leads in-house and industry initiatives to drive positive change. To mention just a few recent examples, in 2017, Schneider Electric introduced new face-to-face and e-training modules to ensure business integrity in situations where employees are most exposed to the risk of corruption. Extending the scope of its responsibility, the company also launched a more comprehensive, supplier-monitoring programme to step up accountability in its supply chain on human rights and environmental protection. More generally, the company has designed a Responsibility & Ethics Dynamics programme to support employees’ efforts to uphold its Principles of Responsibility and manage any issues that may arise. Combining prevention and advice with investigation and control, this programme also serves as an indicator of ethical performance in Schneider Electric’s Planet & Society barometer. In the latest published results (for the third quarter of 2017), Schneider Electric had made significant progress in supply-chain accountability, with 84.6% of suppliers being in line with ISO 26000 standards, compared to only 48% at the beginning of 2015. Meanwhile, 88.7% of the group’s entities had passed its internal Ethics and Responsibility evaluation compared to 79% last trimester. They make the best renewable energy products. Case in point, their charge controller is #1 in the industry.